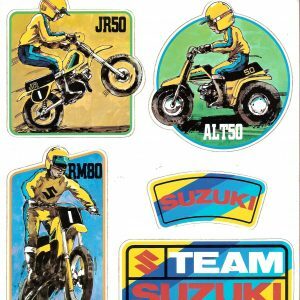 Tagged as ALT50, decals, JR50, RM80, stickers, Suzuki. 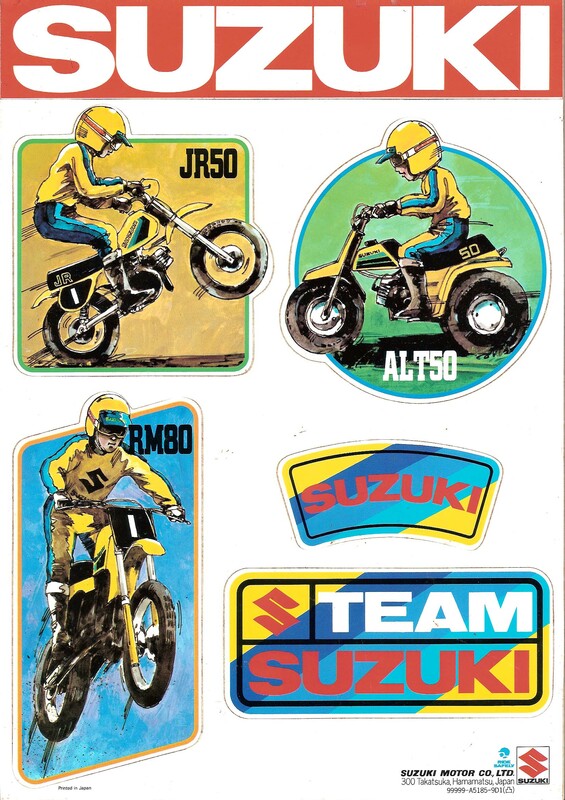 Original decals printed in Japan by Suzuki back in the 1980’s to promote the RM80, JR50 and ALT50 models. Stickers unused, still on the sheet and in very good condition, not a reproduction, this is vintage NOS OEM. Measures approximately 11″ by 8.5″. Part number 00000-A5185-9D1.